State Education Law Section 917 requires public school administrators to ensure the presence of at least one (1) operable AED at each school building, as well as appropriately trained and certified staff who can respond to medical emergencies that require Cardio-Pulmonary Resuscitation/Automated External Defibrillator (CPR/AED). In addition, the law requires trained responders and AED(s) at all school sponsored or approved curricular or extra-curricular activities, including athletic events, on- or off-site. For schools/programs which share space, each Principal must ensure that their school is AED/CPR ready at all times. The DOE recommends each school/program have a minimum of 6 AED/CPR trained responders. Often times, administrators do not believe this number is sufficient and often has additional staff certified as NYC DOE AED/CPR First Responders There is no price on a child’s life. While the requirement is to have only one AED available in each NYC DOE building, often times its located so far away that a quick response is not feasible. Every minute that passes that a required shock is not delivered to a sudden cardiac arrest victim. his/her chance of recovery decreases 10% PER MINUTE. Both adults AND children are SCA arrest victims. We provide FREE consultation to equip your facility with this lifesaving AED device. 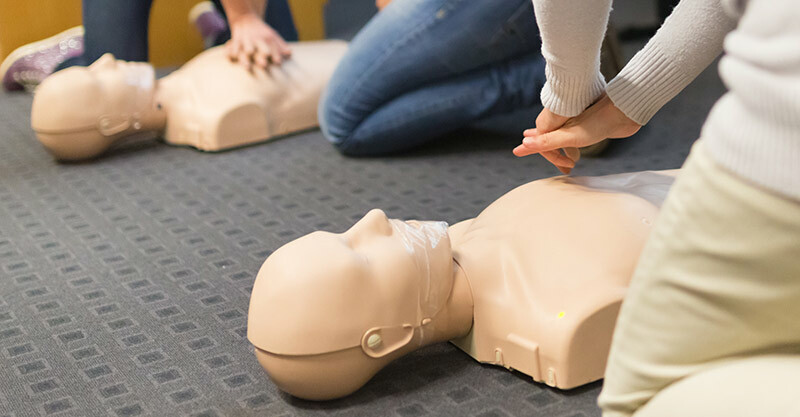 Over the past year, we have had a significant increase in training requests to utilize our fee-for-service CPR AED certification classes to not only meet, but exceed the NYC DOE CPR training requirement. When you contact us, we can customize a quote for your school to receive our onsite, high quality classes. We offer the approved NYC DOE American Heart Association (AHA) and American Safety and Health Institute (ASHI) training to meet the requirement. Each of these CPR AED certifications are valid for two years. In addition, we prepare your staff for the the NYC DOE unannounced drills, which are held twice during the academic year. We work for YOU and look out for YOUR needs. Public school facilities and staff pursuant to subdivisions one and two of this section shall be deemed a “public access defibrillation provider” as defined in paragraph (c) of subdivision one of section three thousand-b of the public health law and shall be subject to the requirements and limitations of such section.